The experimental setup consists of performing visual and text sentiment analysis through hierarchical based deep learning networks. A brief discussion on the deep learning networks is presented for the interested readers. The cross-media bag-of-words model (CBM) is used as the baseline method. The basic aspects of the gated feedforward recurrent neural networks (GFRNN) are illustrated. The mathematical abstraction of HGFRNN is vividly explained. 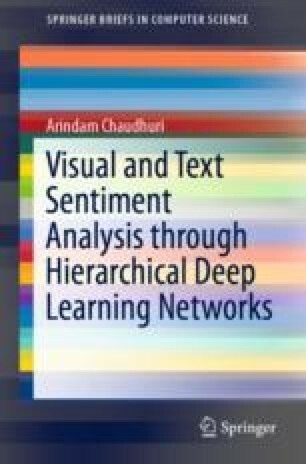 The chapter concludes with hierarchical gated feedforward recurrent neural networks for multimodal sentiment analysis.